The hominid is not an ant. 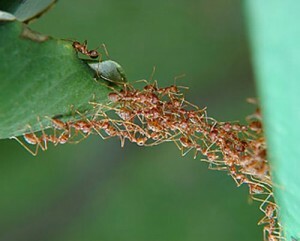 The Machine is modeled on Ants. Coded directions. Managing the massive polis requires NOT democracy but instead predictability. The machine is predictable because it is prescribed in its actions. As an example simply imagine driving a car. All action in the car is prescribed and directed by the roads and signs. Also, imagine the “choice” of any consumer product, say laundry detergent: already contains within it the acceptance of all the mechanisms that require your purchase of laundry detergents. But this is standard from the beginning of our lives. Parents begin directing children both nonverbally and verbally and this is reinforced ad nauseum in the schools. Go here, don’t go there, do this, don’t do that, stand here, don’t run, don’t jump, sit still, be quiet, speak when allowed, etc. We are trained in obedience. We should really offer great thanks to the “outlaws” among us as they are the ones who offer difference and “adaptation” prompts. A Steve Jobs and Bill Gates are not outlaws: they are conservators of a particular system and they offer directions in that system. Perhaps those who are hackers and/or those who work in the Linux O/S are the ones who offer real adaptation options. 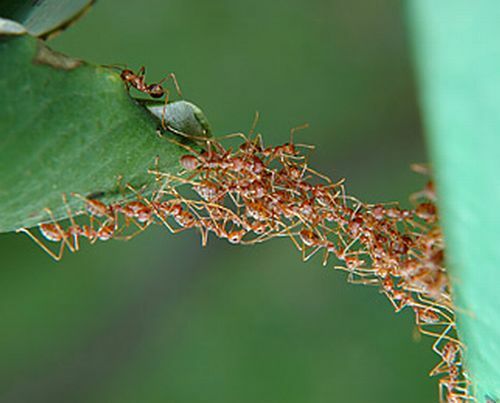 In any case you are not an ant, but that is the creature that our systems culture seems most intent on designing you into. Now shut up and sit still.